Dazzling performances and unexpected moments were seen on the clay courts today. 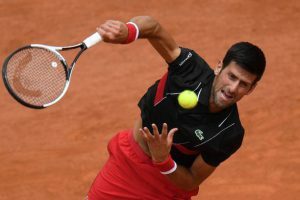 Some players made it to the next round including Novak Djokovic and Fernando Verdasco from men’s and Naomi Osaka from women’s tennis. Result: Novak Djokovic defeated Roberto Bautista Agut at the French Open by 6-4, 6-7(6), 7-6(4), 6-2. Novak who was struggling through his form and fitness this season faced a tough opponent in the round of 32. Djokovic won the first set but the Spaniard replied him with a win in the second set on the tie. The match became more exciting as the third set also came on the tie but somehow Novak managed to win the set and proceeded to the next set. It was a tough set for Novak Djokovic but he defeated Roberto Bautista Agut by 6-2 in the fourth set and made it to the round of 16. Novak will now face the Spaniard Fernando Verdasco in the next round of the French Open 2018. Result: Alexander Zverev defeated Damir Dzumhur at the French Open 2018 by 6-2, 3-6, 4-6, 7-6(3), 7-5. Alexander Zverev was confident of playing against the Bosnian star, Damir Dzumhur, in the round of 32. The first set was won by Zverev but Damir won the next set to equalize the game. After the first two sets, both the players looked confident as a thrilling match was expected from both of them. Zverev lost the third set and barely won the fourth set on the tie. The fifth set was the deciding set for Alexander and he didn’t let down his fans as he won the set and made it to the next round. Alexander Zverev next match of the French Open 2018 is yet to be decided. Result: Kei Nishikori defeated Gilles Simon at the French Open 2018 by 6-3, 6-1, 6-3. The Japanese Tennis player, Kei Nishikori, defeated the Frenchmen at Roland Garros in the round of 32. It was a good lead by Nishikori in the first set which he won from 6-3. Similarly, Kei Nishikori continued his strength and mentality to win the next set and beat the French star. Gilles Simon, who was the local favourite, again faced defeat in the third set and Kei Nishikori proceeded to the next round of the French Open. Kei Nishikori next match at Roland Garros is yet to be decided. Result: Fernando Verdasco defeated Grigor Dimitrov by 7-6(4), 6-2, 6-4. A shocking defeat for Grigor Dimitrov as he lost all the sets to the Spaniard. Both the players showed their excellence on the csourt as the first set was decided on a tie. Fernando won the first set and was motivated to win the next sets too. Grigor played well but his luck wasn’t there today as he lost the next set by 6-2. The Bulgarian Tennis player, Grigor, tried hard to win the third set but Fernando didn’t let him do so and made it to the round of 16. 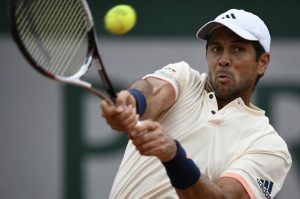 Fernando Verdasco will now face the Serbian star, Novak Djokovic, in the round of 16 at Roland Garros. Result: Madison Keys defeated Naomi Osaka by 6-1, 7-6(7) . An exquisite performance on the clay court by the American player, Madison Keys, who won from Naomi Osaka and proceeded to the next round. Madison won the first set with a good lead of 6-1 but who knew that Naomi will upset her in the second set. The second set started and both the players struggled very hard to win this set. The set came to a tie and Madison barely sealed the victory by 7-6(7). Madison said after the match that Naomi played at her best in the second set and for a moment I was hang in there. Madison made it to the round of 16 where she will be facing Mihaela Buzarnescu of Romania in the French Open. Result: Daria Kasatkina defeated Maria Sakkari by 6-1, 1-6, 6-3 . What an unexpected match it was between Daria and Maria Sakkari as both the players showed their excellence on the clay court today. Daria won the first set with a great lead of 6-1 but who knew that the Greek player, Maria Sakkari, would beat her with the same lead in the second set. After the first two sets, the match became more exciting because of the dazzling performance of both the players. But, the Russian Daria Kasatkina won the third set and made it to the round of 16. Daria Kasatkina will now play against the Danish star, Caroline Wozniacki, in the next round of the French Open. Above were the highlights of the first half of Men’s and Women’s Tennis. Do join allsportspk as soon as possible so that you can see the French Open 2018 day 7.